Dream of turning a side hustle into a career you love? Then today’s guide is a must-read for you! Learn 5 expert tips from a successful female entrepreneur on how to get your business off the ground. Whether you’re a blogger, a creative type, or a gal with a dream, find out how to turn your inspiring idea into a career you love and are passionate about. Living her dream life since her late teens, Ariana Pierce epitomizes the #GirlBoss movement. 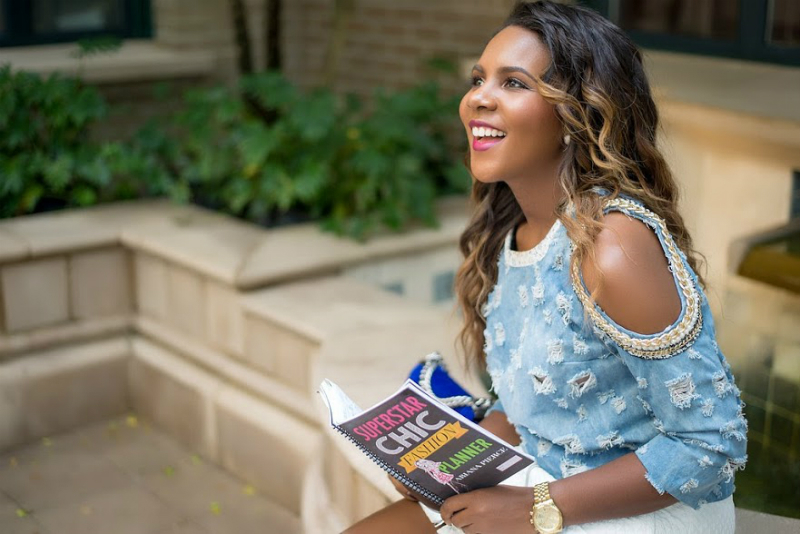 In addition to being an inspiring role model to women everywhere, she’s created lifestyle products, blogs, and events. She leads six successful businesses including nail polish company SuperstarnailLacquer.com, online accessories company Styleshoppe.com, and a publishing business. Aside from being a serial entrepreneur, Ariana enjoys motivating and empowering entrepreneurs, by helping them reshape their lives and careers. Below are Ariana’s 5 tips on how to turn a side hustle into a career. One of the hardest things about starting a business is having the funds to do it. The easiest way to combat this problem is to start a savings account specifically for your business. Take small increments from your current income by saving little by little. Over time, you’ll begin to grow your fund and eventually be able to start your business. Social media has become a tool that can be used to turn your hobby into a business. Now more than ever it has become easier for you to turn your passion into profits. Take time to create a lifestyle around your brand by showing a glimpse of what it’s like to have or use your product or service. This allows your audience to connect, like, know and trust you, which can lead to future sales. Word of mouth is still vitally important in this day and age. One thing that people trust is the word of their friends and family. Create an environment where your previous clients can share your brand with their network. In return, reward them with a discount or gift for every customer you get. This will help you to reach more people and ultimately grow your business. When it comes to starting a business, it’s important to do your research. Take some time to look up potential competitors, similar products or services or brands that you admire. This will help you to see if what you are offering already exist and if you need to tweak things to make it unique in the marketplace. One of the fastest ways to succeeding in business is by having a mentor who can teach you how to navigate through the trials that can come with being an entrepreneur. There are mistakes that can easily be avoided when you have the right person in your corner. With the right business coach, you are able to reach your goals at a much faster pace, because of their experience and expertise. For more expert advice on jobs and personal finance, check out the Career section on Inspirations & Celebrations. She’s definitely an inspiring and motivating woman. Happy to hear this got you pumped to become a #GirlBoss!